This “natural history memoir” uses anecdotes, philosophy, and evolutionary theory to describe the flora and fauna of rural Ontario. In this book, Canadian author Harrison (Immortal Ideas: Shared by Art, Science, and Nature, 2014, etc.) describes childhood encounters with animals, plants, and insects of his native region, interspersing his remembrances with more recent tales of his cabin near his old family home. In one passage, for example, he shares observations of his bear “neighbors,” to whom he’s given names and personalities; he supplements his memories with scientific and philosophical insights into the bears’ life cycles. This sequence is engaging, funny, and moving and represents the author’s writing at its best. The rest of the book similarly mixes memory, fact, and philosophy. 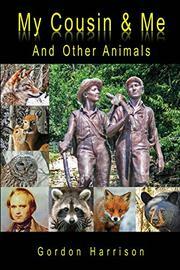 It devotes many chapters to particular animals (owls, deer, and wolves, among others, all get moments in the spotlight), and Harrison seems particularly fascinated by how his subjects have adapted in order to survive the evolutionary arms race. The book offers appealing, candid nature photographs throughout and also describes the people who shaped the author’s childhood, including intriguing glimpses of his mother and father. However, Harrison is a better naturalist than he is a memoirist; his family and friends feel only lightly sketched in comparison to the book’s nonhuman characters. The titular cousin, for example, rarely transcends his characterization as a Huckleberry Finn archetype. There also seems to be no organizing principle as to how the author orders his chapters as he does. The prose often slips into repetitive rhapsodizing, occasionally indulges in truisms (“Without death, there would be no life”), and sometimes makes confusing leaps; at one point, for example, Harrison claims to have seen the rarely observed saw-whet owl and then begins an anecdote about a totally different bird. There’s also a disconcerting lack of citations given the large amount of scientific content here. A flawed but often engaging account of one man’s deeply personal relationship with Canadian wildlife.